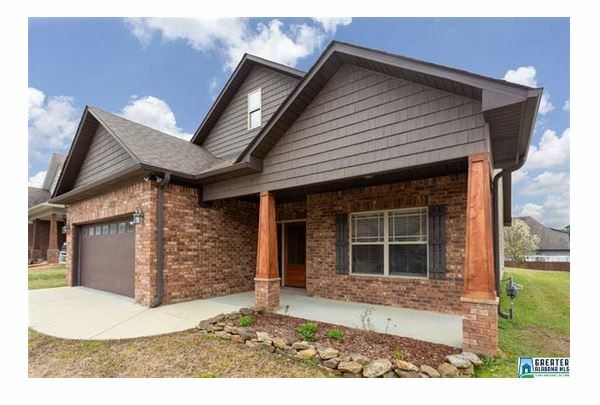 This is a beautiful craftsman style home with nice porch. The home also has a large great room with gas log fireplace. Other features include a eryv large eat-in kitchen with lots of counter space. and a nice large master bedroom with a master bath that features double sinks and a jetted tub. The home has a nice covered patio and large fenced yard too.